Data is from the June 2015 Ipsos MORI quarterly survey titled "Tech Tracker: Q2 2015." 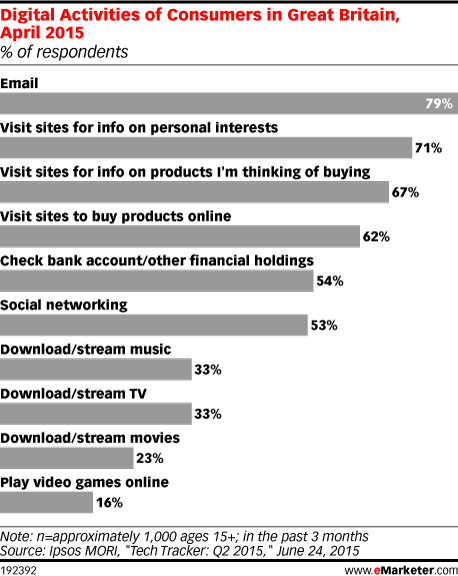 1,018 consumers ages 15+ in Great Britain were surveyed face-to-face during April 17-24, 2015. Data is weighted to a nationally representative profile.